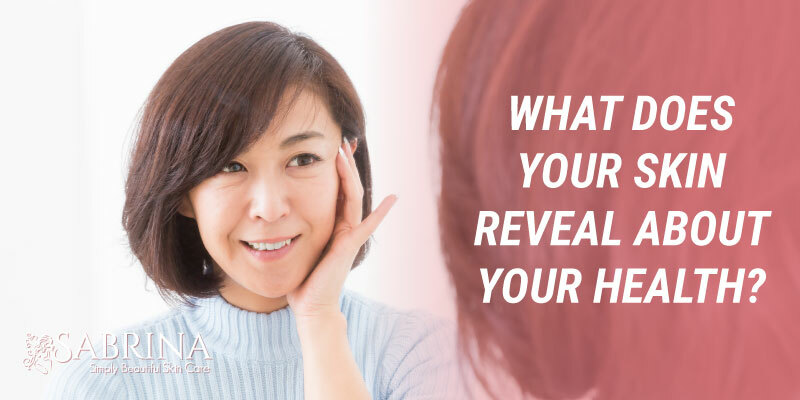 What does your skin reveal about your health? Other than your race or ethnicity, your skin can actually reveal a whole lot about you. From your age and how much time you spend in the sun, to your skin type and whether you have problems with acne. Just a glance at your skin or a simple touch can reveal so much. One of the things your skin can tell you and others, is about your overall health. The more healthy and vibrant your skin is, the healthier you are. Here are a few ways that your skin can reveal the status of your overall health and well-being. If you’ve noticed your skin breaking out in hives after eating a certain food, or noticed a rash forming in a specific area after touching an object, you may be having an allergic reaction to something in your environment. Allergies can be caused by anything from pet fur, certain foods, medications, pollen, insect stings, chemicals, and more. One important thing to note about hives is that they may not occur until a few hours after you’ve been exposed to whatever you had a reaction to. When you notice hives or even rashes appear, think back to what you had to eat, what you touched, or if you were bitten or came in contact with anything you think may have caused an allergic reaction. 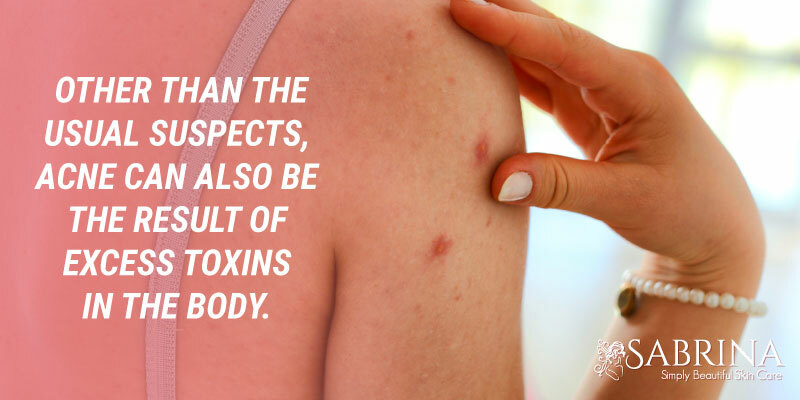 When you notice any sort of allergic reaction appear on your skin, see your doctor immediately for diagnosis and treatment. Acne is normal and happens to just about everyone at some point in their lives. Genetics, hormone imbalances during puberty and pregnancy, a reaction to a new skin care or beauty product, stress, and bacteria buildup can all lead to acne, but excessive acne can reveal more about your health. Other than the usual suspects, like hormone imbalances or bacteria buildup, acne can also be the result of excess toxins in the body. When your liver is incapable of managing the toxins flowing throughout your body, acne can appear on various parts of your skin. Acne can also reveal stomach issues, such as bacteria, excess yeast, and more. If you have been struggling with acne, be sure to talk with your dermatologist about what may be causing it. Keep in mind that acne located in certain areas of the body can easily reveal what the underlying issue is, like chin acne is the result of hormone imbalances. Dry skin can come about through a number of reasons, like winter weather and neglecting to moisturize. It’s appearance reveals a lot about you and your health. Itchy, dry, flaky skin can reveal hormone imbalances, circulatory issues, and even nutritional problems. If you are using a moisturizer daily, especially during the winter months, and are drinking enough water, dry skin will usually go away. SABRINA Collagen Rx Plus is a great moisturizer for dry skin. It contains green apple stem cells that re-hydrate the skin with proteins and nutrients to alleviate sagging and dry skin. Persistent dry skin can be a sign of hypothyroidism, circulation issues in your blood, and general lack of nutrition. Dry skin can also lead to eczema, an inflammatory skin condition that leads to cracked, inflamed, or even bleeding skin. It is better to bring the concerns to your doctor to pinpoint the issue before it becomes worse. Have you ever woken up in the morning after a restless night of sleep and noticed dark circles under your eyes? Dark circles are a tell-tale sign of lack of sleep. They can also be a sign of age, a reflection of lifestyle choices, and even genetics. 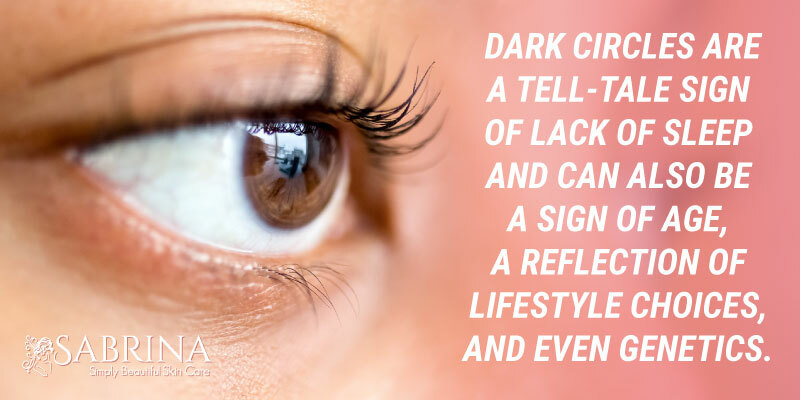 Dark circles can also reveal that there are excess toxins in your body. Certain foods such as dairy, gluten, or eggs can also reveal dark circles and your body’s intolerance. On the other hand, dark circles can let you know about allergens, like pet hair, pollen, dust, or other environmental factors. While there isn’t a cure for dark circles, there are ways to prevent them like getting adequate sleep each night. Eating a healthy and balanced diet and avoiding anything you may be allergic to also helps. As always, talk with your doctor if you have any concerns about persistent dark circles. Your skin can reveal all of these points and more. It’s important to make note and talk to your dermatologist about any changes you’ve noticed or any concerns you have. Your skin is your body’s largest organ. It works well with the other organs and parts of your body to protect and keep you healthy. The condition of your skin can alert you to problems that may need addressed. Your skin can also reveal your age and how stressed you are through fine lines, wrinkles. Fortunately, there is a solution for those who want to give their skin a youthful, glowing appearance. The SABRINA Collagen Rx Plus Anti-Aging Face Cream can minimize pores, improve collagen production, diminish fine lines and wrinkles, and leave your skin feeling soft, smooth, and rejuvenated. Click here to learn more about the cream and what it can do for your skin.